Jackson guitars have always offered aggressive looks and sound coupled with high-quality workmanship. Their KE Pro series brings all the upscale Jackson elements to a very attractive price point. Based on the Kelly, the KE3 has a sharply chiseled Explorer-like body shape, with Jackson’s signature pointy headstock. The nearly -$1,400 difference between Marty Friedman’s favorite axe and the KE3 is really not so huge: the tremolo is a JT580LP Floyd Rose License, not original; the pickups are Seymour Duncan’s Jazz and JB and the neck is bolted on, all of which add up to a great deal. The Jackson KE3 has an alder body and a maple neck of wide, oval proportions. The headstock is attached with a scarf joint behind the fist two frets, adding strength at the nut—an important detail when dealing with the extra routing necessary to accommodate a locking nut. The rosewood fretboard is fitted with 24 wide, near-jumbo frets, which are superbly crowned and polished. Jackson’s trademark “shark fin” inlays, done in a rich pearloid plastic, are inlaid to the neck with admirable neatness. Our review model arrived dressed in Black (Transparent Red, Blue and Black are also available as well as Cobalt Blue, Swirl and Skulls), all black hardware, including black tuners, and black locking nut and tremolo and a single black volume knob. Plugged in, the KE3 really came to life. The Seymour Duncan Jazz SH2N and JB TB4 pickups, in neck and bridge position respectively, are bold and brawny, high-output humbuckers with a hard-assed bite that can be felt even through clean amp settings. But don’t peg them as one-trick ponies: each pickup alone offers some enticing colors, particularly with the volume rolled back a couple of notches, and the combinations of the two makes for a fine clean rhythm or lead tone. But let’s face it, the axe was made to cut eardrums, and so most of my playing time was spent with the KE3 pumped through a Marshall JCM800 and a ProCo Rat distortion pedal. The resulting sound was capable of rearranging furniture and small pets in the house across the street. The bottom end on this guitar is something the U.N. should sanction. Muted rhythms take on a tribal percussiveness, and leads sound like they’re doubled with tap-dancing gorillas. The treble had to be rolled back a bit from my usual “everything on seven” setting, however, since a hint of microphonic squeal could be coaxed from the pickups with a tap of the pick. Still, the KE3 delivers some awesome muscularity along with radical good looks and solid craftsmanship. For those who wish to single eyebrows and swill Jaegermeister on a Budweiser budget, Jackson’s KE3 Pro is your weapon of choice. Jackson KE3 Guitar In Action! 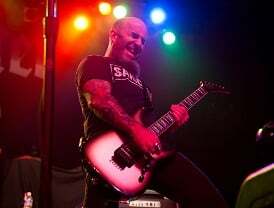 Anthrax’s legendary axe-man and founding member, Scott Ian, has been playing Jackson guitars most of his professional career. Why? Because Jacksons’ sound and play awesome and are the true definition of metal! Though Ian did play ESP, Washburn and was even known to play a Washburn copy of a Dean Dimebag ML / 333 style (unsure if it was a bolt ML like this Dean Dimebag Darrell guitar). 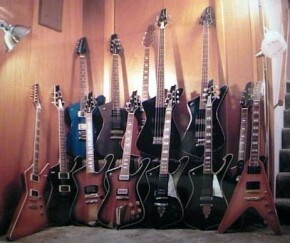 Scott Ian re-upped an endorsement with Jackson guitars in late 2009. Here comes the Jackson T-1000 Soloist. 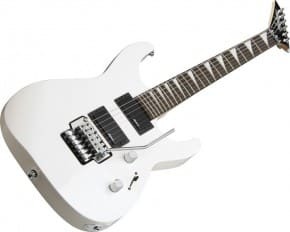 Jackson Guitars — The Bloodline welcomes five new affordable guitars featuring double-locking vibrato systems. In continuing the celebration of its 30th Anniversary, Jackson is proud to welcome five new affordable JS Series models to The Bloodline, all featuring double-locking tremolo systems licensed by Floyd Rose. In celebration of its 30th anniversary, Jackson Guitars are proud to welcome the new JS Series models to the dark domain of the Bloodline in 2010. 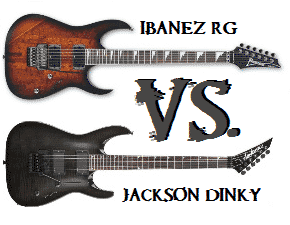 The eight guitars comprising the entry-level JS Series are super-affordable takes on classic and instantly recognizable Jackson designs, all built without compromising all-important tone and playability.